Arsenal signed Lacazette from Lyon a year ago with the France international’s Gunners career yet to take off. He was unleashed against Cardiff yesterday for the first time this season with Unai Emery previously omitting him from starting XI’s against Manchester City, Chelsea and West Ham. 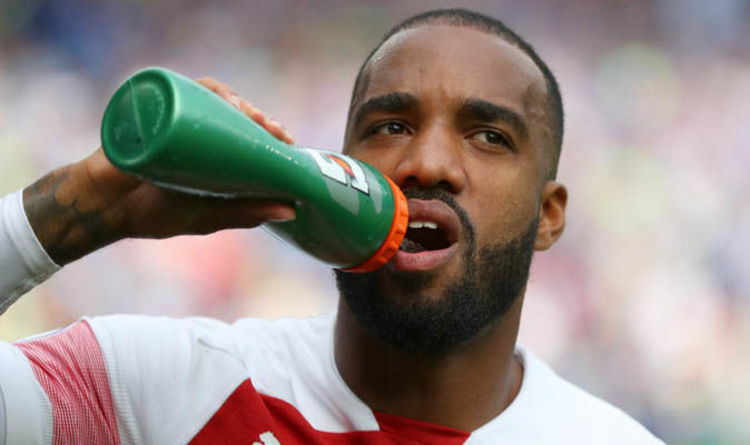 Lacazette was linked with a move away from Arsenal last week, with rumours swirling that he was hell-bent on securing regular football elsewhere. But, speaking after his winner against Cardiff yesterday, the France international moved to dispel talk of a move away. “I don’t know who said this stuff, but I am at one of the best clubs in London and I am happy at Arsenal,” Lacazette said. “It’s always going to be hard to be in the first XI at a club like this, but I always keep fighting and working. “I won’t play every week just because of one game. Lacazette was not the only Arsenal forward to break their duck for the new campaign. Pierre-Emerick Aubameyang, a £53million arrival from Borussia Dortmund in January, also found the net. And Lacazette is happy to play alongside the Gabon international for Arsenal, despite the player often ousting him from Emery’s team. “It’s nice to play together because we compliment each other’s strengths,” Lacazette added. “He (Aubameyang) deserved to score because he has worked so hard since the start of the season. “The Chelsea game was hard for him because he missed some chances, but it was nice to play well with him. Lacazette could next feature for Arsenal when they face Newcastle on September 15 (3pm).